So this weekend I went down to New Orleans to help Dustin get everything back up to north Mississippi for the week… Stella had been down there for 2 weeks so we had the kennel, her and her dog food to bring up, in addition to Mylee and Apollo, clothes, bikes… you’re seeing the picture now. When I got to NOLA on Friday, I found myself in an interesting conversation about trying vs. doing during happy hour at Superior Grill (best margaritas in town). I really don’t think about it when I say I’m going to try this or I’m going to do this. The conversation went onto if you say you’re going to try your also leaving the door open to fail whereas if you say you’re going to do, the only option is to succeed. Thinking about Ironman Texas, the only mentality I can have is to do… battling the south Texas heat, the humidity from hell, and what can only mean to me that I am going to do this thing! So Dustin and I continued to have a good time Friday night only to have to wake up at 4:30a Saturday morning to meet up with some Venom teammates and some of the Hard, Inc.’ers to ride on the north shore. It was a GREAT hilly ride! I think I’m adjusting to the hills and actually loving them – especially when I get to go down! lol. I think I need to work on my nutrition a bit in the heat… I had all Nuun and 2 GU gels on me (one regular and one Roctane) and I think when I do 2 bottles of Nuun and 2 bottles of Accelerade Hydro, it’s a better mix for me with the GU. Kind of felt sick after the ride but there could be so many factors playing into that! After we finished, we went straight to IHOP for some breakfast with Jonathan and Ashley Steudlein… it was delicious! Sunday, Dustin and I packed up and headed back to Starkvegas – he’s up here for the week visiting and I couldn’t be happier! We headed straight to the pool… met up with Michael Lee (one of the MSU triathlete’s) and man it’s been a while for me. On the bright side, I’m getting my membership and won’t have any more excuses for not swimming but, I do miss open water swimming! I’ll get it this weekend at Sunfish Triathlon. 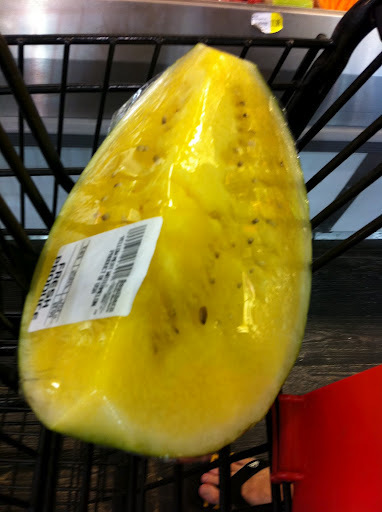 We went to Piggly Wiggly afterwards for some groceries when I saw a yellow watermelon!! Dustin and I were both excited as we’ve been looking for one for almost a year (VMR, get ready, we’re bringing one down for the race this weekend! )… it’s delicious! I was going out with Michael for a ride Monday morning, before the Tour started being televised again, and last minute, Dustin decided he was riding too. We were on new pavement and he just got done telling me about how tarry it is and how he always blows a tube… not 2 seconds later, he had a flat! So I rode ahead, late, and he’d taken off (I don’t blame him). Dustin caught up to me and took off… we rode about 20 and I could tell I wasn’t using my Fluid the way I typically do. Ready to roll this weekend! Now onto a taper… the goal is to place in the Athena division this weekend at Sunfish. 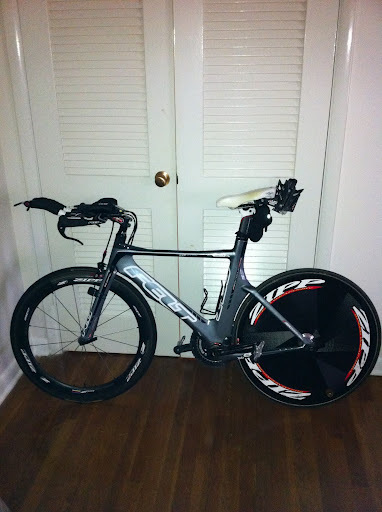 I’m ready for the hills… time to rep Venom and Mississippi State Triathlon! I’m going to DO THIS! Whoooo hoooo!